One News Page > News Videos > KJ Apa has broken his silence on the death of Luke Perry. KJ Apa has broken his silence on the death of Luke Perry. The 'Riverdale' star plays the late star's alter-ego Fred Andrew's son Archie Andrews in the CW drama. He took to Instagram to pay his respects to his co-star, who sadly passed away just days after suffering a stroke. Simply saying "Rest in Love bro". Cole Sprouse - who portrays Jughead Jones - recently paid a touching tribute to Luke, saying California was "crying now" after his passing. 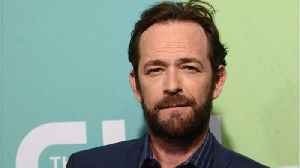 Wednesday night's episode of 'Riverdale', the first since Luke's passing, paid tribute to the actor with a black screen at the end that read: "In Memoriam Luke Perry 1966-2019." The show's creator, Roberto Aguirre-Sacasa, vowed to dedicate all future 'Riverdale' episodes to Luke, too. This set will always remember their friend. 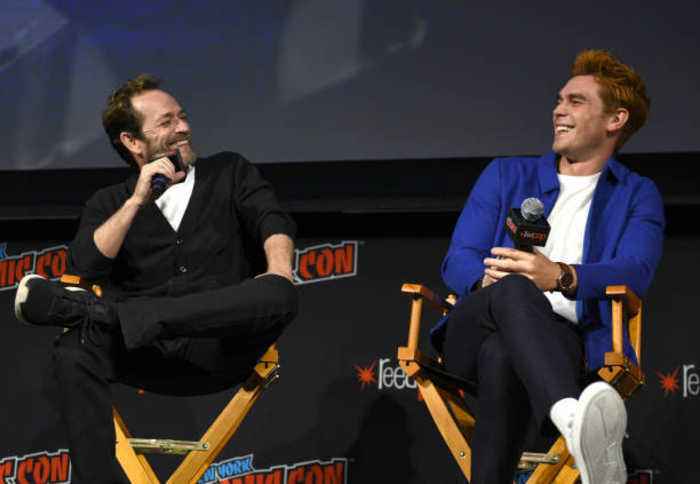 'Riverdale' star KJ Apa has paid tribute to his on-screen father Luke Perry, who sadly died on Monday (04.03.19) days after suffering a stroke. Days after Luke Perry’s death at 52, his “Beverly Hills, 90210” co-star Jason Priestley is breaking his silence. Comicbook.com reports 'Riverdale' star KJ Apa on Thursday broke his silence on Luke Perry's death for the first time since his passing on Monday. 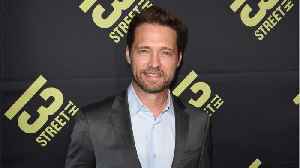 Perry, who played Apa's character's father on the CW..
“Beverly Hills, 90210” star Jason Priestley breaks his silence on the sudden passing of his close friend and former co-star Luke Perry. 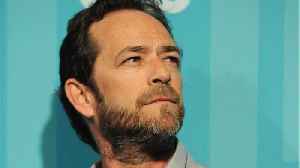 Luke Perry&apos;s daughter, Sophie, has broken her silence since the death of her father. Luke Perry's daughter, Sophie, has broken her silence since the death of her father. "A lot has happened in this past week for me," the younger Perry posted on Instagram Tuesday. "Everything is..